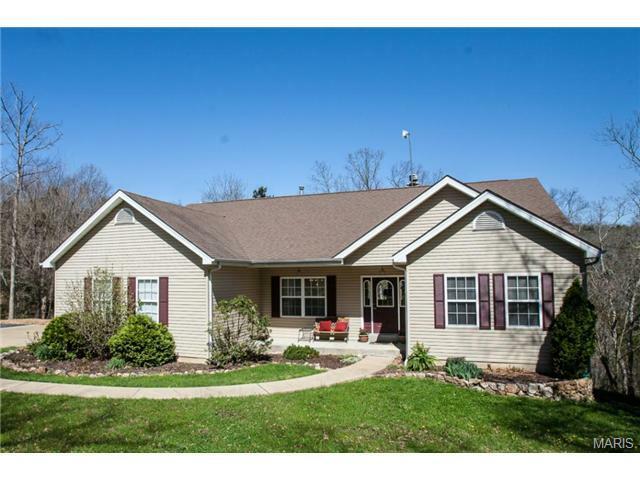 Located just about 25 miles southwest of St Louis County Real Estate, Pacific MO homes for sale are a great inclusion to the homes of both St. Louis County Real Estate and Franklin County Real Estate. Pacific is a great place to own a home, with prime location lying just about 25 miles southwest of St. Louis making the downtown metropolitan area just a short drive down the highway. Although Pacific has a quaint home town feel the average commute time for Pacific MO homes matches the national average exactly at 25 minutes. Pacific MO Real Estate and Pacific MO properties are a perfect addition to the St. Louis Real Estate market. Pacific real estate is mostly made up of newer homes with the average age at 20 years. These single family homes offer floor plans with 2 bedroom, 3 bedroom or 4 bedroom options. Homes for sale in Pacific MO homes have a wide sales price range and vary from approximately $80,000 to about $600,000. The median home price in 2014 was approximately $160,000. Pacific has plenty of outdoor adventures considering it is home to two state parks: Babler State Park and Robertsville State Park. While both parks feature camping and picnic areas, Babler State park also features sports fields, a swimming pool, an equestrian facility, while Robertsville has plenty of water for fishing, canoeing and other boating options. Also, from the Pacific Palisades Conservation Area you can gain access to the Meramec River, which is floatable all the way to the Mississippi River. There is also an incredibly rich historical presence within the city of Pacific, with a couple of smaller museums to explore, such as the Model Railroad Museum and the Meramec Valley Historical Museum, along with the McHugh-Dailey Historic Opera House that gives free tours by appointment. The citizens of Pacific also appreciate their public and private education systems they have available for children in the area, as families here pride themselves on being a great place to raise children. The Meramec Valley R-III School District serves Pacific MO real estate and include 10 schools for grades pre K through 12th. There are also three area colleges including East Central College, Meramec Campus & Wildwood Campus. If you’re interested in learning more about Pacific MO homes for sale, please contact St Louis County real estate expert, Sharon Colona and St. Louis Realty for a professional and simple buying or selling process. Call (636) 397-7653 or email at scolona@stlouisrealty.net. Located less than 30 minutes from Highway 270 is a gorgeous 6,100 square foot home nestled on 10 acres in Franklin County. The home includes a detached 3,000 sq ft 4 car garage + caretaker apartment for a hobbyist's dream or business owner x2019;s getaway. The all brick home stands tall upon its hillside granting beautiful sunrises and sunsets. The 10 acres are un-restricted allowing flexible use for the land. Whether it be horses, ATV / dirt-bikes or simply walking trails this estate has so much to offer. A $10,000 credit is allotted to the buyer for updates of their choosing. Schedule your showing today. Custom one of a kind GORGEOUS home(1.5 Story) with view of lake sitting on 3 acre park-like setting!This home is LOADED with fabulous amenities!Hearth room chefs kitchen has Granite counter tops,42 cabinets, breakfast bar,walk-in pantry,recessed lighting,stainless appliances including trash compactor. Main floor laundry/mud room. Wood burning tile surround fireplace!2 master suites!1st master on main level with octagon(2 story) sitting room with window surround. Master bath has double sinks,whirlpool tub and separate tile surround shower.Walk out to 3 seasons room from master. 2nd master on upper level with spa bath,double sink,whirlpool tub.Huge loft area.Zoned HVAC, 2 hot water heaters,5 car garage,library,recreation room,stamped concrete walk and large covered front porch,large deck,stunning lake views!Hardwood floors throughout. Lower level has egress windows and is walk-out. Professionally landscaped with outdoor lighting,all electric.Closets galore!THIS is a MUST SEE! MINI FARM LOVERS DREAM MOTIVATED SELLER ALL OFFERS CONSIDERED On 5.25 acres, Stocked Lake,White Vinyl fencing, 30x90 Barn/Workshop with Electric and Water. Custom Colonial style house conveniently located only 3.5 miles from I-44 and Six Flags. 4 Bedroom 4 Bath with a very large Custom Kitchen that includes Beautiful countertops, Stainless Double ovens, large center island, breakfast bar and Butler style pantry. You will fall in love with the Sunroom overlooking the lake and pastures. The main floor has Real Hardwood flooring throughout including the large Den/Office space. The Spacious Master bedroom and large walk-in closet is a must see to believe. two big bedrooms finish the upstairs. You will really enjoy the Finished Walk-out basement that includes a 4th bedroom, Family room and Game room with a full Bath. The Renewable Energy source from the Geo-Thermal System is very efficient and cost effective to heat and cool the house. Call now to schedule your appointment. Brick Ranch home on 22+ acres in Rockwood school district just minutes off of Interstate 44 and in the Eureka city limits. Property consist of two addresses 5902 and 5904 Hunters Ford rd being sold as one property. xD; xA;Home features 3 bedrooms 2 1/2 full baths. Main floor Master suite, Formal Living room, Formal Dining room, Family room with wood burning fireplace, 2 car side entry garage. Full walk out basement Metal pole barn with a fenced barn lot that is suitable for horses. This exposed post/beam home is a rare find just minutes out of St. Louis County near St. Albans. The home features gorgeous stained glass/etched windows, antique doors/hardware throughout. From the majestic vaulted ceiling with tongue and groove wood planking to the dramatic windows, this home features nature x2019;s showcase at every turn. From the features of the main level kitchen, to the main floor observation family room, to the surrounding, all wood pinned beam construction, this home begs to the State of Missouri x2019;s motto of x201C;SHOW ME x201D;! This home features an oversized, two-car garage, with a studio/storage area on the upper level. Previous owners were drawn to this home by the natural beauty and their passion for country living including Director of Art for Mary Engelbreit, a local artist who earned his living on the property with commercial art, and the current owner; an amateur, traditional wooden boat builder who completed his sailboat and now sails it on the coast of Maine. This property is straight out of your favorite HGTV episode - new flooring and new paint! This home has over 3100sqft of living space, over 8 acres, a tranquil setting overlooking the privately shared, stocked lake - you will not be disappointed with this home! Perfect for entertaining with an open floor plan and even a pavilion by the lake! Home backs to Shaw's Nature Reserve. xD; xA;Don't miss another sunset at this beautiful setting. Call for your private tour! CUSTOM RANCH HOME on almost an acre located in a Gated Community. Great 5 bedroom home with upgraded features and beautiful wood floors. The gourmet kitchen has high end appliances, granite counter tops, and custom cabinets, and opens to the family room with gas fireplace. Master bath has separate tiled shower with seat, jetted tub, and large vanity. The lower level has 12 x2019; ceilings, a safe room, game room with bar and Walk-out basement. Beautiful wooded lot, subdivision pool, great location, #Dream Home! Must see to appreciate all this property has to offer. A STONE'S THROW FROM ST LOUIS CO & WILDWOOD WHILE REAPING THE BENEFITS OF LOWER FRANKLIN CO TAXES! * Situated on 3.922 acres, this custom built 1.5 STY offers 3 bdrms, includes MAIN FLOOR MASTER, 2 full baths/2 half baths & OVERSIZED 30Wx30D Garage * Dining/Sitting Rm * 2-STY VAULTED Great Rm w/ Floor-to-Ceiling BRICK WOODBURNING FIREPLACE, Bay, PERGO Flr & Wet Bar * Kitchen/Breakfast Rm boasts GRANITE Counters/Backsplash, STAINLESS Double Oven/Smooth Top Elec Range, Microwave & Dishwasher, Porcelain Tile Flrs & Bay opens VAULTED 4-SEASONS RM & Deck w/ a TRANQUIL WOODED VIEW * Powder Rm * VAULTED MASTER w/ WALK-IN CLOSET plus separate closet & LUXURY MASTER BATH w/ Jetted Tub & Separate Shower, Tile Flrs * 2 OVERSZED Bdrms Up & Hall Bath, PLUS ATTIC STORAGE * Full Basement w/ Overhead Door for easy access & storage * Main Flr Laundry w/ Half Bath * Quality Features: Geo-Thermal HVAC & HURD Heat Mirror/Low E Double Hung Wood Windows w/ Vinyl Clad Exterior, 200AMP Electric & MORE! 5.5 ACRES ! This ranch home is situated nicely on property to allow owner to enjoy the sounds & views of nature yet be close to all that Pacific/Eureka has to offer. Or head the other direction and head down Hwy 30 to Gravois Bluffs. The tile entryway, as you walk in, opens to the living room, open basement steps and kitchen. Quaint country kitchen with an open floor plan, wood floors, bay window & a freestanding stove makes this home so cozy & warm. New carpet in bedrooms w/updated bathrooms. Look out your garden window over the kitchen sink to the pleasantly cleared backyard and over the trees as far as you can see. Love to hunt? Just go out back and into your woods! Partially finished LL w/walk out gives you a family/rec room to chill in. There is storage, wet bar and bar to finish off basement. All electric home. Crown molding. You also have a 1440 sq ft outbuilding/pole barn w/workbench etc. 16 ft high carport behind building, too. Garden spots on property. WH (2017)MUST SEE ! NEW LOW PRICE Come see what you have been missing! xD; xA;This Rustic 1 1/2 Story Nestled on 5 Acres, makes you feel like your on a Country Vacation all year Through, Spring fed Waterfall and creek on the property. Possibilities here are endless. Keep it wooded for privacy, or clear away for beautiful views and parklike setting. 3 full levels Finished for 3000 sq. ft. of Living area for your growing family. 5 Bedrooms 3 baths, Large Eat In Kitchen, Great Room and Extra family room Allows space for everyone. Mom is sure to enjoy Relaxing on the country style front porch while Dad is busy in the 20x16 detached workshop. or the 2 car Garage. Vaulted ceilings Open Stair Way, Stone Fireplace, Tall Rustic Wood Windows and Skylights Let the Charm and Character Show through. View This Property and Fall In Love! Spacious one-of-a-kind LOG Home with 5 acres mol and a small pond for your enjoyment. Great location just off Hwy 100!!! xD; xA;Covered front porch, lg side deck & back deck, deck/bridge at pond and sm dock. Enter into formal dining with wood burning stone FP &skylites was originally front guest bedroom and could be turned back. 22x22 Living offers floor to ceiling stone FP w/built-in wood box & mantle,book shelves,lg bay window. Breakfast rm with built-in cabinet,skylite,14x5 walk-in pantry ,door to sunroom,back deck, step down to family area & door to side deck. Kitchen w/ skylite,Elec.Commercial range, breakfast bar. Lg Master BR, walk-in closet,skylites,awesome bath with lg soaking tub, separate shower,double sink, built-in cabinet. Nice hall bath and open steps to Lower Level with 2 bedrooms, lg family rm,office, laundry/utility, full bath, cedar lined closets, door to patio. Detached 3 Car Garage with lean to and so much more. MUST SEE!! Just 3 miles west of St. Louis County line. Beautiful 5 bedroom/3 bath ranch home w/ over 2,400+ finished sqft, located in Villages at West Lake! Head inside to the foyer & continue into this wide open floor plan! Home offers beautiful laminate flooring throughout and oversized windows to let in that glorious springtime sunshine! The living room ceilings are vaulted & bar top connecting to the kitchen. Kitchen features all black appliances & 42 dark cabinetry! Connected breakfast room features sliding glass door to the deck. Plus, main floor laundry! Master suite features huge walk-in closet, ceiling fan, full bath w/ adult height oversized countertop & corner shower! Two more generously sized bedrooms w/ spacious closets & 2nd full bath on main level. You will be blown away by the lower level, perfect for entertaining w/ large family room, gorgeous kitchen w/ dark maple cabinetry & granite countertops! Two additional bedrooms, 3rd full bath! Additional laundry hookup as well! Basement also offers utility space & storage space. Vacation at home! Situated on over a 1 acre this Waterview lot-overlooking a 5 acre fishing lake is located in sought after Lakewood Hills Sub-ROCKWOOD SCHOOLS!! -This 3 bedroom 2 full bath 1.5 story is ready for you. The main floor is very open with kitchen & separate dining room. The Dining room, vaulted great room and master bedroom overlook a HUGE DECK nestled in the trees-Oh the view! The vaulted great room has floor to ceiling wall of windows - See through stone fireplace in great room & spacious master suite with large walk in closet. The master bath has double sink, jacuzzi tub & separate shower. Enjoy hiking in this ecofriendly community which includes several lakes, a sandy beach for swimming & picnic area. Surrounded by Conservation land. Roof, gutters and gutter guards 2016. Cedar stained 2016. Interior paint 2016 -2 bedrooms freshly painted 2019. Sump pump 2017. For subdivision information/indentures see: lakewoodhillsmo.org Easy to show and sell! Features included in home are 11' ceilings at great rm., kitchen & breakfast rm, Decorative transom windows in 11' ceiling areas, 3/4 bath rough in plumbing, elongated toilet at master bath, adult height vanity at master bath, 10 x 12 patio, wire for ceiling fans with 2 switches at great rm. & master bedrm., ice maker line to fridge, 3 can lights at kit., garage dr opener, stainless steel appliances, custom wall color throughout, 3 1/4 base, open staircase to lower level, granite counter tops at kitchen, LVP flooring at foyer, great rm, kitchen, breakfast, xD; xA;subway tile backsplash, 42 white kitchen cabinets with crown and hardware, Brushed nickel lighting package, sod front yard with seed and straw sides and back, landscape package & iron mailbox. This Eugene plan has the following options included: 11' ceilings with transom windows at family rm., breakfast & kitchen, 12 x 12 patio, architectural shingles, enclosed soffit and fascia, 3/4 bath rough in, ice maker line, sump pump, stainless steel appliance, 42 kitchen cabinets with crown & hardware, granite tops at kitchen, subway tile back splash, 2 ceiling lights over island, 2 ceiling fans at master bedroom and family room, 3 can lights at kitchen, brushed nickle lighting package, adult height vanity at master bath, custom wall color throughout, garage door opener at 2 car, sod front yard, landscape package & iron mailbox. Rare opportunity, 2 properties for the price of one. Commercial storefront on corner lot plus residential home all located on the same property! Here is your chance to own a commercial property plus a residential 3 bedroom, 1 bathroom home. The commercial storefront is currently set up for a hair salon, but could be converted to many different types of businesses with minimal changes. Residential home behind the commercial building is tenant occupied. Very nice 2 story home, 3 bedrooms and 2.5 baths. Home is on a cul de sac lot with large yard. Architectural shingles installed'16, closet shelving '16. Heat pump and hvac '17. garbage disposal, fence, garage door in 2018. Water heater, sump pump and drain tile, deck and fire door to garage done in 2019. Move in ready. Statues in front yard do not stay and will be removed prior to closing. WELCOME TO YOUR NEW PROPERTY!!! SITUATED ON 7.18 ACRES OUTSIDE OF PACIFIC, THIS PROPERTY FEATURES 1/5 STORY HOME AND MULTIPLE OUT-BUILDINGS INCLUDING A HORSE BARN. PROPERTY IS SECLUDED FOR PRIVACY. HOME HAS LIVING/DINING/KITCHEN COMBO, MAIN FLOOR MASTER SUITE AND MAIN FLOOR LAUNDRY. UPPER LEVEL FEATURES 1-2 BEDROOMS, FULL BATH AND LARGE BUILT-IN CLOSETS. UPPER ROOM ALSO PROVIDES ACCESS TO TONS OF STORAGE AND BACK STAIRS TO GARAGE. GARAGE IS OVERSIZED WITH DOUBLE ENTRY DOORS, OVERHEAD GARAGE DOOR AND BARN-STYLE DOOR ON SIDE. TAKE A LOOK TODAY!!! This property has been approved for a Fix and Flip loan through Foundation CREF a private lender owned by the Seller. Foundation CREF can finance up to 85% of purchase price and 100% of renovation costs and close in two weeks or less.